Each year, the holiday season becomes just a bit more special for more than 90 dedicated Little League® volunteers who receive their official notifications with their official umpire assignments for the Little League World Series tournaments. Volunteer umpires are one of the most important aspects in the success of Little League programs around the world and in the Little League International Tournament. As a way to continually develop these volunteer umpires throughout the year, Little League International offers a variety of digital training and educational resources available on LittleLeague.org/Umpires, a bi-monthly Fair Ball Newsletter, access to the Little League Umpire Registry, and formal training through Umpire Clinics and Schools around the nation. The selection process to become a World Series umpire is lengthy and rigorous. The process for selection to work a World Series begins with a recommendation from the District Administrator, within their district, to umpire in a Regional Tournament. 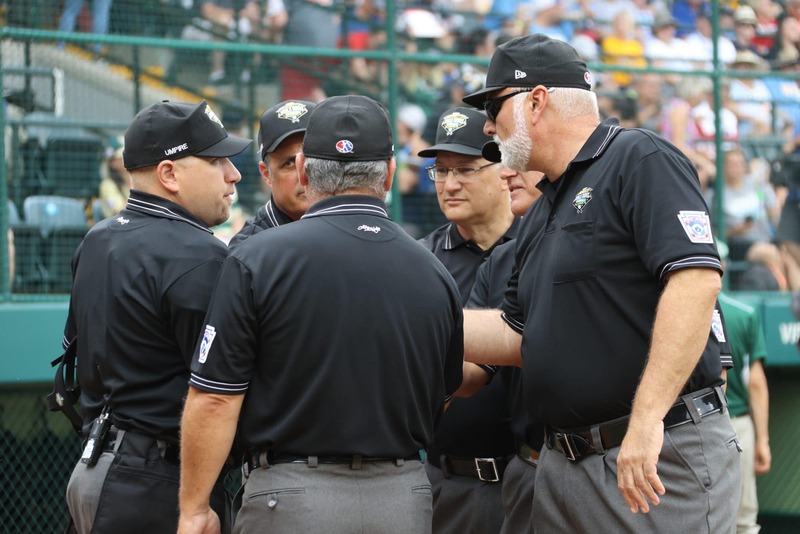 Little League’s nine regional offices then consider all nominated umpires before selecting those who most closely meet the selection criteria. The umpires volunteering at each Regional Tournament are then evaluated and can receive one of two recommendations: Recommend working another Regional Tournament or Recommend a World Series assignment. Once an umpire has earned a World Series recommendation, the umpire must indicate that they wish to be considered further. Individuals who meet those qualifications are then screened annually by Little League International and Regional staffs for selection to umpire in a Little League World Series tournament. Appointment as a member of the umpiring crew for a World Series is the highest honor that Little League can bestow on a volunteer umpire. An individual can be selected for a World Series assignment once every four years, but being chosen to work the Little League Baseball® World Series is a once-in-a-lifetime opportunity. For the fourth consecutive year, Little League International will support all volunteer umpires at the seven World Series events with a travel stipend to help offset the costs for the men and women to attend their respective World Series events.